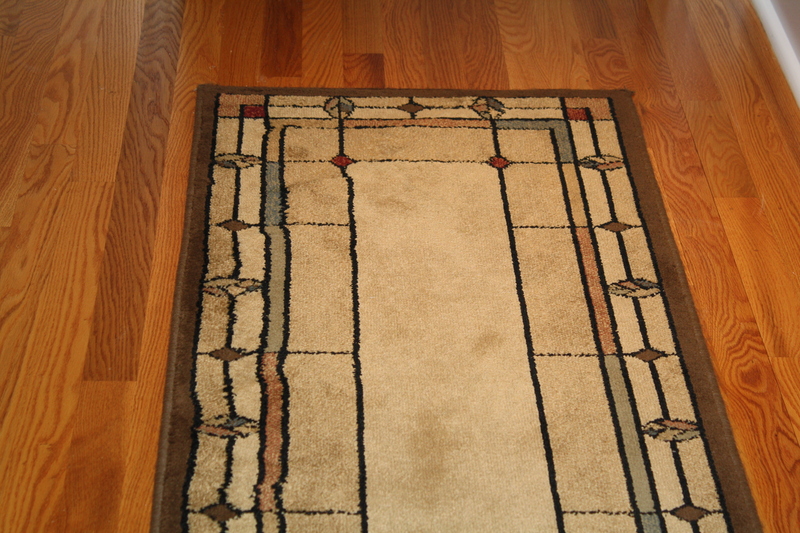 I started with the one right outside our bedroom door. See how far this bugger had strayed from its place?? p.s. Please pardon that little bit of debris on the floor. I assure you I picked it up not long after this was taken. Not right away, but not long after. 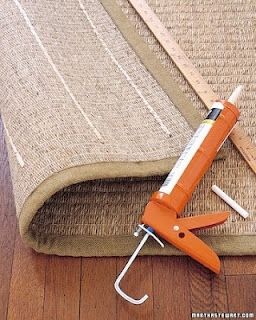 The caulk was placed directly on the back of the rug. 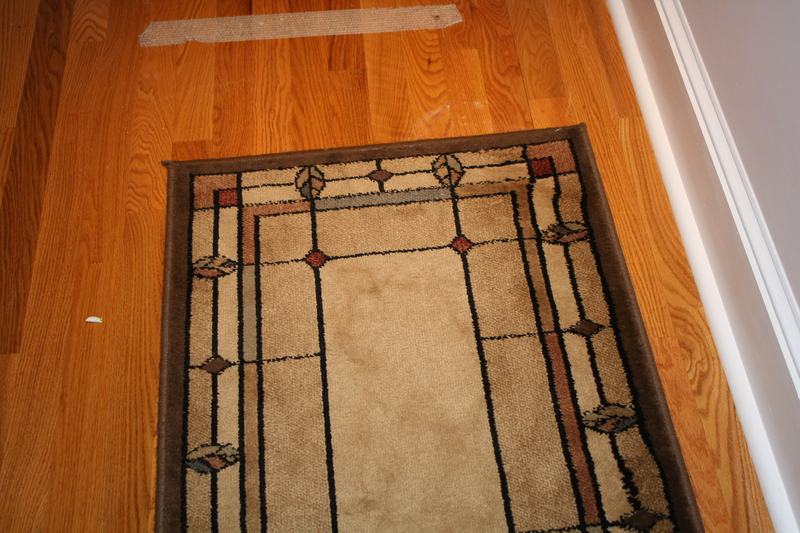 Near the ends, I put the lines of caulk a little closer, but in the middle, they were roughly six inches apart. I let it dry overnight, and put it right back on the floor with no pad underneath it or anything. And let me tell you, that rug is not going anywhere! I walked on it, danced on it, twirled on it; it’s stuck. And so far, there are no marks at all on the hardwood either. 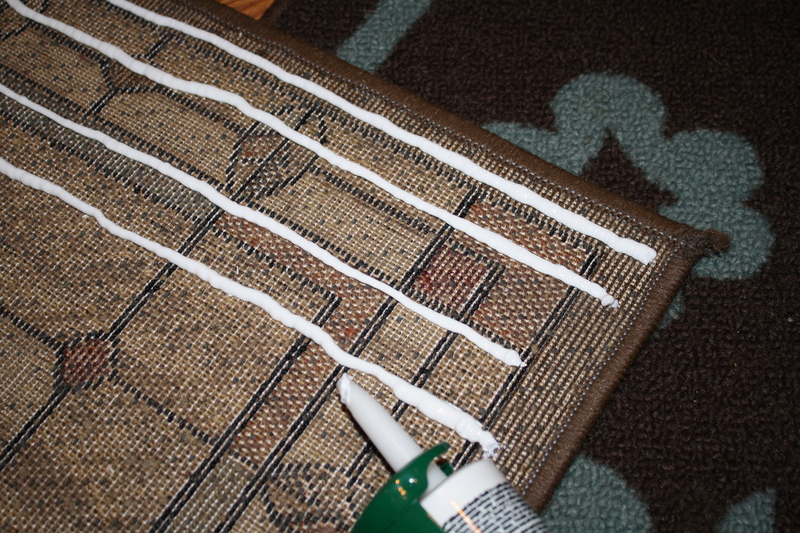 I am definitely going to need more caulk to do the rest of the rugs upstairs. This one’s a keeper!